Keeping up the tempo of enhanced interaction between the two Armies, a delegation from Proyash, Bangladesh, led by Col Md Shahidul Alam is visiting Kolkata from February 10 to 14 on invitation by the Indian Army. The delegation is comprised of five special children and five special educators.’Proyash’ is a specialized organization that values the holistic development of all children with special educational needs through multi-dimensional programmes. Proyash is functioning under the patronage of the Bangladesh Army since July 2006. On February 11, the delegation visited ASHA School Kolkata where Veena Naravane, regional president AWWA Eastern Command interacted with the delegation and presented its members with mementos and gifts. ‘ASHA’, a school for differently abled children came into existence on July 1, 1991 with the aim of providing a combined curriculum of education and therapy as well as counseling and rehabilitation. Since, the time of its inception, the school has progressed steadily towards its goals. 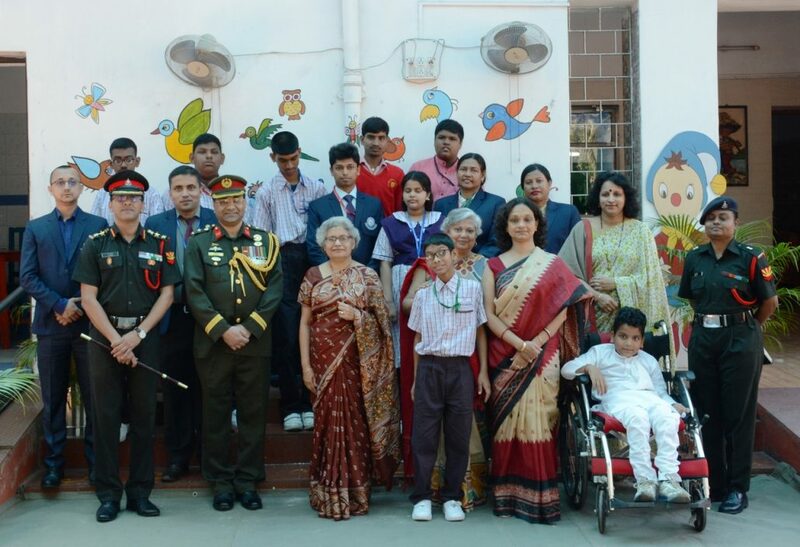 The aim of the school is to ensure an overall development of differently abled children of defence forces personnel (combatants and civilians) with a view to make them self-dependent and contributing members of society. Eastern Command, based at Kolkata, runs the school under the patronage of regional president of AWWA and has been doing a commendable job in this field.